Change has already come but the pill is too bitter to swallow. Change has happened, what next? Last week, there was a heated debate in one of the whatsapp group chats in which I am a part. It was about change. One black sheep, so he seemed was against certain changes. Okay, it is not that the hinges in the wheel of his mind have rusted in a certain time, he was just against how the change was happening. And everyone else seemed like they were part of the crowd that stood in the Pontius Pilate’s court as they shouted “crucify him!” They hurled at this ‘black sheep’; questioning his inability to consent with the irreversible wheel of change. This heated debate made some members of the chat group philosophers, others irrational debaters, while others took time off to reflect on how far we have come. I think I fall in the latter group. You see, we live in a really weird age; an age where we know everything and nothing. An age where we know how change has happened over the centuries and our imagination has driven us to science fiction as we try to imagine how change will raid us. Our imagination has driven us too far from reality that we do not recognize change even when it happens. Many people can testify that the image of a midwife a decade or so ago was one of a mother. But now, what has become of our midwives? We have little children for midwives! Young girls in their teens who have just budded and branched from O’ level. They have no idea whatsoever what it is like to have babies. At least these are some of the comments you’ll get in hospital corridors. Finding one to trust is difficult. The few good ones are also fighting to distinguish themselves from the stereo type but it is hard. One of my petite friends (only four 4’5 tall), Nabuzale Jane a nursing student at Uganda Christian University, is faced by challenges of mistrust from expectant mothers. I can understand their fears. Perhaps if I were in their shoes I too would cry, “hell no” at the sight of a child-like midwife. It is a mixture of desperate pregnant women, desperate youths looking for a living, a desperate government to fill hospitals with medical workers, desperate mother midwives trying to mentor and save their vintage beloved image. 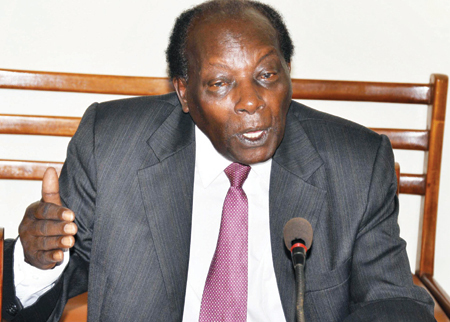 Recently, the “moving encyclopedia” and retired judge Justice George William Kanyeihamba expressed his disappointment at the quality of lawyers in the country. He picked at the Uganda Law society for being a jungle of cunning business men rather than lawyers who ought to strive for justice. Shame! I can imagine lawyers like August Vollmer cursing. They must be wincing at the thought of what today’s lawyers have made of that noble profession. Good for them they are long dead. You may name about ten more things that you thought were parallel to lawyers until you saw today’s. Growing up, my idea of lecturers at the university was that of moving knowledge banks. Professors who stood before a class and spat facts in every word and as a student you just had to figure out what to take and what to leave. Alas by the time I got to the university it was a different story. Where I am currently, we study so hard that classes go up to 7pm on Saturdays. We are pumped with handouts. Lecturers dictate notes like it used to be when I was in primary school. There is no difference! As for university research, the papers we do, the coursework, my Oh my! At least student 80% of university students cannot defend coursework they did. Chances are high you will find a student who does not remember the thesis statement or introduction to the coursework they handed in less than a month. As for journalists, don’t even get me started. I have met many ‘business men’ masquerading as journalists. They only cover stories where they are assured of ‘lunch’ (in monetary terms). I have met several who do not know media ethics and journalists code of conduct. Some of these have never studied journalism or mass communication for that matter. They just landed into the field while looking for means of survival. Unfortunately, most of the good and senior journos have been sucked into public relations. 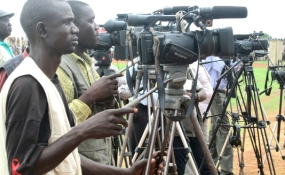 The highest population in many newsrooms and media production houses is young. With almost no senior to shoulder the burden of mentoring. Perhaps it time for us to create our new standard of journalists. Professor Kanyeihamba while addressing Nkumba law students recently grieved for a country with highly unread students. The accomplished author was smitten when the M.C announced the title for his new book with omissions. Time and again many learned people have complained about how the reading culture has greatly deteriorated. I love reading; I do not dispute that. I love finding out a lot of information. But lately, I have been struggling to read, even papers. I am now doing it as an obligation instead of the passion it used to be. Some say it is a general African/Ugandan problem. Recall the saying that if you want to hide anything from an African write it on paper. In this highly electronic age and the social media, sci-fi age, it is a hustle to be buried in a book. Now that we have all these and more changes, what do we do? Before you complain about the quality of graduates in a particular profession, has it occurred to you that the cancer is general? Perhaps this is simply a different way of doing things that should not be compared to the olden days. We need a new approach to life issues for change, the bitter pill has already come. Let just embrace it.